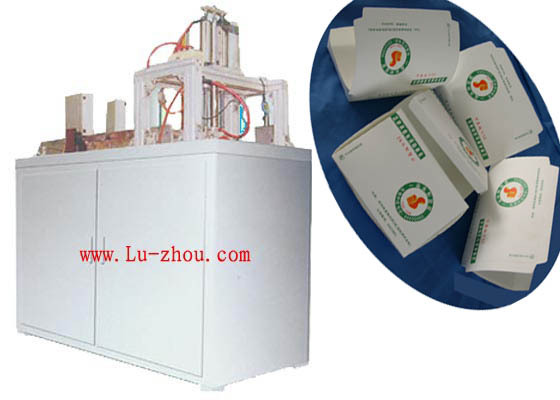 Model LBZ-B Full-Automatic Paper Meal Box Forming Machine is a kind of multi-running positions automatic machine through a whole procedure of paper-feeding, heating, shaping and has the functions of photoelectric inspection, trouble alarming and counting. This machine is applied to produce so many containers in different sizes and different shape through the exchanging of molds. We can make this type machine which is just suitable for your requirement.